Cycling shoes can get insanely expensive. Treating yourself to a high end pair can be a painful ordeal for your bank account. Cycling has the potential to be an expensive passion, I won’t argue that. However, with a little shopping around and a willingness to take a whirl on less expensive brands, you can find some great mid range cycling shoes which mimic the characteristics of much pricier products. There’s something about Italian style in cycling; Italian brands just ooze performance and versatility. This article is written to review two mid-range Italian carbon soled cycling shoes for the fashion and performance conscious. We’ll be looking at the DMT Libra and the Northwave Torpedo 3S. Both cycling shoes reviewed feature performance characteristics of pro-level road cycling shoes, but at a budget friendly prince point. Any Italian cycling shoe has to look good above any other properties. Both the Northwave and DMT offer svelte lines and colour schemes which aren’t going to scream for attention from the middle of a peloton, but will certainly get more than a few glances at the local café stop. For the traditionalist the DMT Libra takes single colour simplicity in a cycling shoe towards a work of art. It’s a shoe for the purist. On the other hand, the Northwave, with its modern characteristics, offers a funkier approach that may appeal more depending upon your aesthetic. An attractive, expensive cycling shoe is no use if it sits at home gathering dust. Riding is as much about comfort as it is about looking good. Both shoes feature a stiff carbon sole married to a hard wearing polyurethane upper to provide function and long lasting riding pleasure. Closure on the Northwave is courtesy of asymmetrically body-mapped straps designed to spread the pressure exerted from the strap system. They provide a solid, yet non-restrictive hold on your foot thanks to a one piece upper and effective heal retention system. Northwave shoes tend to fit on the wider and slightly larger side, allowing a rider more room for toes to splay outwards. If your feet run wide, the Northwave is the better choice. The Libra feels smaller and narrower in comparison. As someone who wears a continental size 45 in Northwave shoes, I need a 46 in the Libras. Closure is thanks to 3 simple looking Velcro straps; however, the top two straps include a rasp system to ensure a better closure for when those bunch sprints need it. In the Speedplay pedal specific version the DMT Libra’s fit is greatly affected by their ASL anatomic insoles which feature heat mouldable insoles with a raised arch which is also seen on the company’s higher range Radial 2 and Prisma 2 models. The mouldable nature of these inserts can help increase comfort over longer rides. The inside raises the foot slightly and this may not suit riders with little or no arch to their feet, or those who are flat footed. Both shoes are a viable option for the racer looking for performance, or the sportive rider looking for all day comfort and response where necessary. Both shoes are worthy of being on the feet of a professional rider. Many pros still prefer the simplicity of a three strap shoe while riding in the same way they will often specify an aluminium handlebar over carbon. Complicated closure systems are often less easy to adjust during an event whereas the ease of a Velcro strap means a rider can concentrate on riding. Both shoes feature stiff, responsive carbon soles for efficient power transfer. The Libras feature a carbon sole injected with fibreglass known as CG Fybertek for traditional 3 bolt cleat systems. The Speedplay version has a sole made solely from Toray mr60 carbon fibre. The Torpedo 3S features a Carbon Light sole which integrates carbon fibre with nylon for stiffness and light weight. 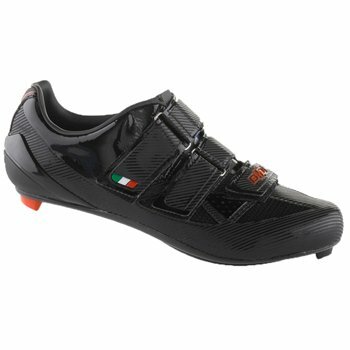 Both of these Italian styled bike racing shoes are reasonably priced for what you get. The Northwave Torpedo 3S reviews as the less expensive of the two, coming in under $200 (USD) for most retailers. The DMT Libra is just a tad more expensive, and it ranges between $190 and $265 depending on how it’s fitted. In both cases you’re getting a lot of shoe for the price tag, and I’d consider them both steals. 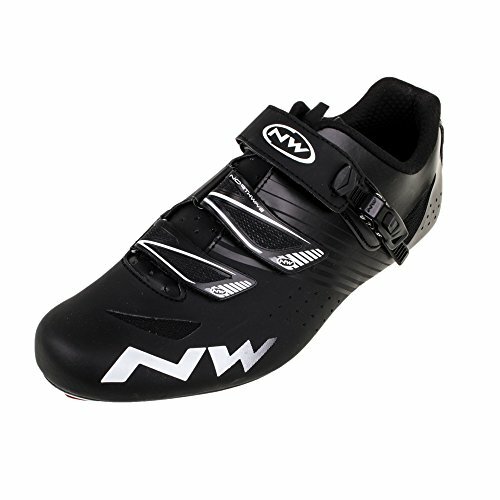 So Which is the Italian Cycling Shoes Under $200? So which of these mid-range Italian cycling shoes is the best choice? Honestly, they each show really well. Both shoes offer considerable function along with attractive style. For wider footed riders the Northwave Torpedo is a great option with a funky style. The DMT Libra in black is a great choice for all-weather riding, as they’ll last for years even after multiple dirty winters.